A day after President Trump claimed his predecessors didn't do enough to reach out to fallen soldiers' families, he is being accused of disrespecting a widow. Myeshia Johnson's husband Army Sgt. La David Johnson was one of the four men who died in Niger this month during an Islamic State ambush. 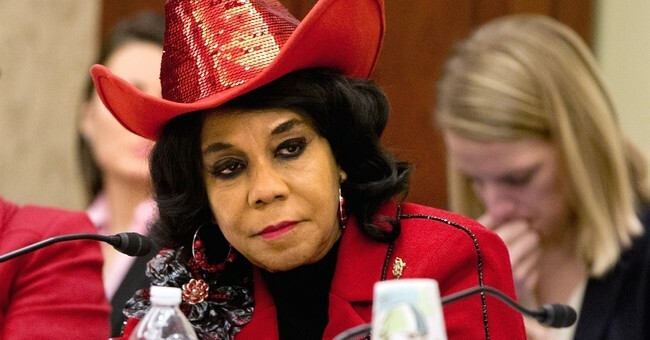 Rep. Frederica Wilson (D-FL) was in the car with Johnson when she spoke with President Trump. Wilson said she didn't hear the entire phone call between Johnson and the president, but Wilson says she did hear him on speaker phone tell the widow that her husband knew "what he signed up for, but I guess it still hurts." “To me that is something that you can say in a conversation, but you shouldn't say that to a grieving widow," Wilson said. "Everyone knows when you go to war you could possibly not come back alive. But you don't remind a grieving widow of that. It's so insensitive." Trump tweeted his response, insisting that Wilson twisted his words. The president is a "sick man" who is "lying" and has "no sympathy," Wilson told CNN after seeing the tweet. "I'm not the only one that was in the car," she said, adding, "I have proof too." She also claims that Trump did not know the fallen soldier's name. It's unfortunate that in these hyper partisan times, even a soldier's death can be politicized. Staff Sgts. Bryan Black, Dustin Wright, Jeremiah Johnson were the other three men to die in the Niger ambush. RIP to our brave soldiers. As White House Press Secretary Sarah Huckabee Sanders noted on Twitter, their sacrifices will not be forgotten.